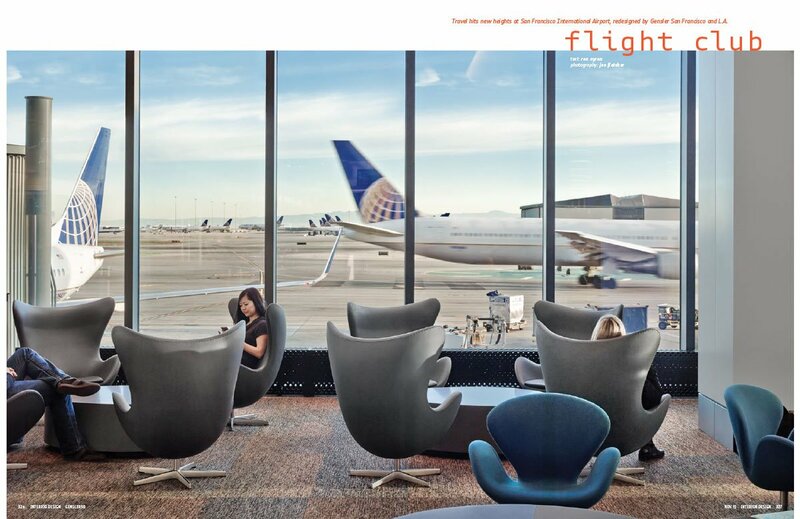 Spinneybeck’s upholstery leather at the San Francisco International Airport Terminal 3 by Gensler is featured in the November issue of Interior Design. Three colors of durable, water-resistant Acqua are upholstered on Fritz Hansen Egg Chairs. This leather is produced with a combination of a special retannage and finishing process results in leather that is not only water resistant, but also practical for applications that require a durable finish.